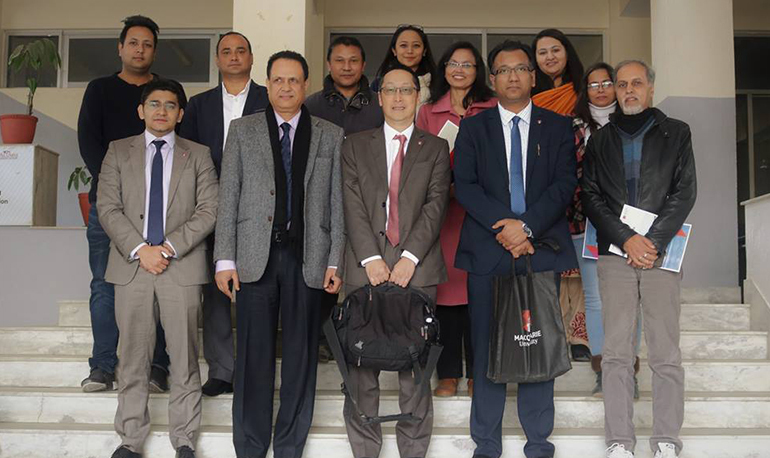 Professor Sherman Young, Vice Chancellor of Macquarie University, Australia visited Kathmandu College of Management and delivered a session regarding ensuring quality in learning and teaching in a rapidly changing world. With his accumulated experience and knowledge serving in the field of education he talked about how globalization, diversification, digital and automation has brought change in teaching and learning patterns. This session was very beneficial and motivated our students to enhance the educational experience.